That was quite a litany of excuses that Ryanair (RYA) chief executive Michael O’Leary trotted out to explain why the airline saw profits plunge 20% in the April to June quarter. Those who have suffered from past contempt for passengers may think it serves him right, but let’s stick to the investment perspective. 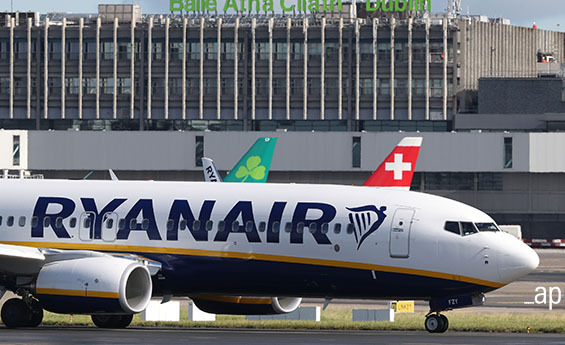 Some issues are specific to Ryanair, particularly the problems caused by pilot strikes and ensuing compensation claims. Of greater concern is the admission that fuel costs have risen, strikes by air traffic controllers have deterred passengers from flying and there is increased competition on European routes. That affects everyone, particularly EasyJet (EZJ) but also IAG (IAG), owner of British Airways. If Ryanair can report a 7% increase in passengers and a 9% rise in revenue in the first quarter of its financial year to the end of March and still warn that full year profits will be down, that is seriously bad news. I don’t invest in airlines because, like the planes, the shares are up and down. If you go into this sector, you need to be an active trader with a knack for knowing when to take profits and get out. Few issues provoke reactions on my Twitter account than the mention of ethical investing, especially when it comes to tobacco companies. My holding in Imperial Brands (IMB) is my equivalent of running through a farmer’s wheatfield: it’s fun but as a non-smoker I feel a bit bad about it. However, it was British American Tobacco (BATS) that caught my eye this week. Even stripping out the acquisition of Reynolds American, which has boosted revenue and profits, BATS continues to thrive despite the best attentions of health conscious authorities in many countries. Cigarette sales are weakening very slowly while alternatives such as vaping easily make up the difference. BATS shares jumped 5% on first half results to the end of June and after dipping below £37 several times in spring have recovered to top £41 again. I see no reason for shareholders to get out at this stage. The shares may well edge higher, though I don’t think any gains will be spectacular. At least holders can enjoy a solid dividend. IMB has similarly recovered from around £23.50 although they are balking at £29 and any gains in the short term are probably over. Again, there is a solid dividend. As one of my Twitter followers remarked, no-one holds a gun to your head to force you to smoke and there have been plenty of warnings. I’m feeling a lot happier about my holding in National Express (NEX) after strong first half figures showing pretax profits up 24% to a new high. The interim dividend is raised 10% from 4.26p to 4.69p and I have no doubt that the final payout will be increased by a similar percentage. Transport has been a problematic sector on both sides of the Atlantic for several years but all the group’s divisions have grown revenue, profit and passenger numbers. I’m a little queasy about debt rising at this stage but money has been spent on sensible acquisitions, seven so far this year in new growth markets. At least the cashflow is strong and improving. The shares have shot up from a low of 340p in February to 420p now but I don’t feel that they are too expensive and I believe they will reach 450p before the year is out. They have followed a pretty solid upward trend for nearly four years now and there is no reason to fear that this will come to a shuddering halt.